Read the enclosed leaflet carefully before use. Dosage: Adults and children over 12 years: Two tablets to be sucked or chewed, as required, preferably 1 hour after meals and before bedtime. 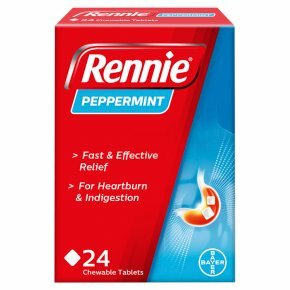 For heartburn an extra 2 tablets may be taken between these times. These doses may also be used during pregnancy and breast-feeding. Do not take more than 10 tablets a day. Prolonged use should be avoided. Children under 12: Not recommended<br>If symptoms persist after 14 days consult your pharmacist or doctor.<br><br>KEEP OUT OF THE REACH AND SIGHT OF CHILDREN.